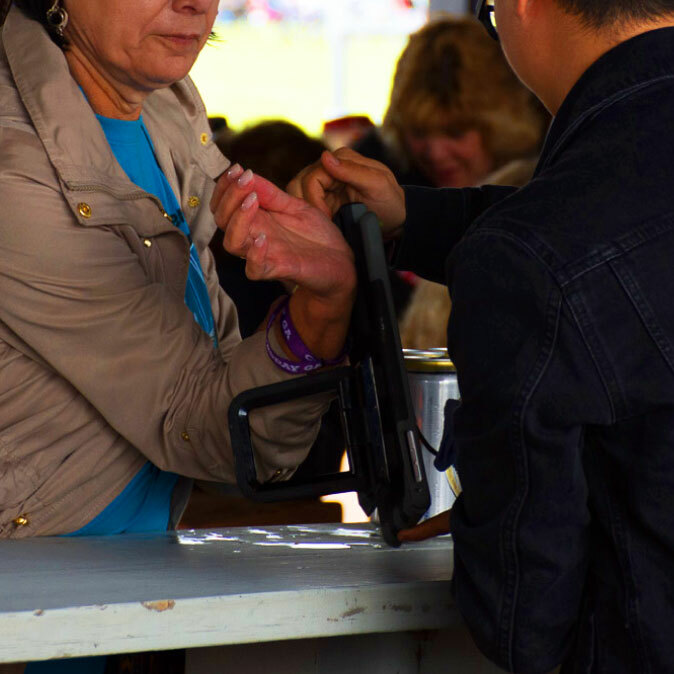 We give you all the options on ways to purchase things at the festival. Want to carry cash? That’s fine! Want to pay with your credit card? That works, too! Don’t want to carry either? Sign up for cashless to pay for all pizza and drinks at the bars. Please note: some vendors don’t accept cashless payment. Don’t feel like signing up for cashless? That’s okay! 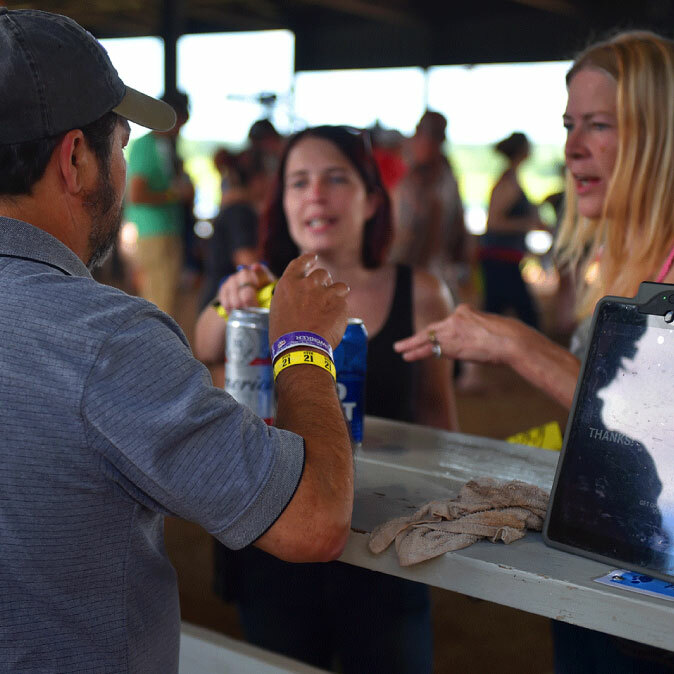 Credit cards are accepted at all bars, beer carts, and vendors. Just make sure to keep it in a safe place! Lose your credit card during the festival? Don’t freak out just yet! Head over to the information booth located at the top of the hill and see if someone turned it in. Or, if it’s after the festival, give us a call at 800.326.3378 and we can check to see if we have it. Don’t want to bring a credit card or sign up for cashless? That’s fine! Grab some drink tickets outside of each bar to pay for your drinks, first. Need to get some cash for your tickets or vendors? 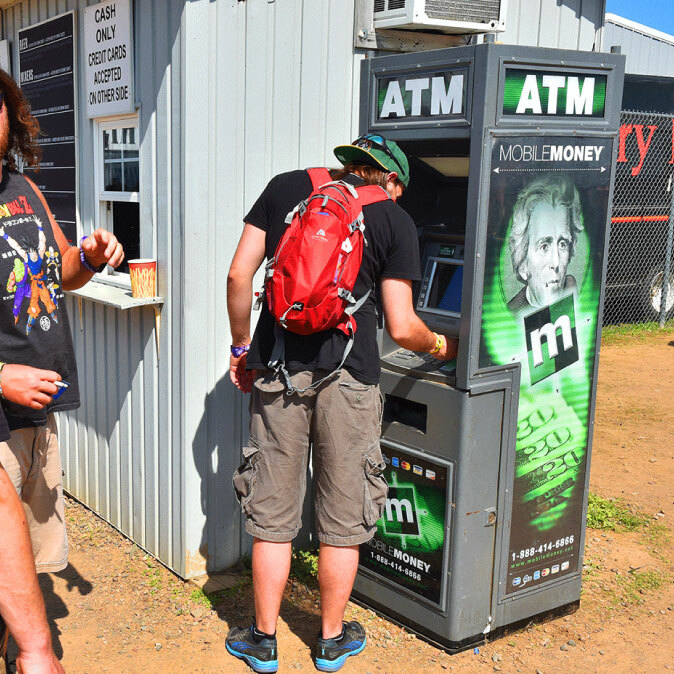 We have ATMs placed throughout the concert grounds. Check out the concert grounds map to see where they are so you don’t have to search from them when you get here.